Hidden twin gore slip on. 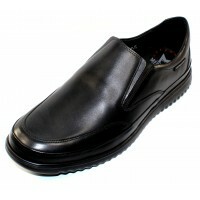 Leather linings and removable leather covered foam padded air-jet insole. Rubber sole.